Don Musselman Presents. 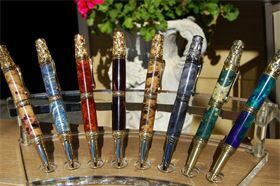 . .
Pens for the most discriminating tastes . . . .
Hand made locally. Woods and acrylics create phenomenal colors and lasting impressions. These are works of art.